Photo Writing - Exploring Photography. : Whither Do You Go? The title of this essay could easily be rewritten as Software Woes. Of late, several software providers have been changing their product line quite dramatically, leaving photographers everywhere slightly befuddled, and somewhat poorer for the required financial outlay that they have to put forth. Adobe, Apple and Nikon are the biggest bombshell creators at the moment, but there is all likelihood that they will be followed by others shortly. So, what is the problem and what do you do to keep up with the myriad updates. It doesn’t matter how you dress it up, software providers are moving to subscription based platforms rather than biannual monolithic updates. You are now forced to rent software, rather than own it outright until a newer version tempts (or forces) you to upgrade. Microsoft were possibly the first mainstream software provider to make their office suite subscription based. Now, so too have Adobe, to much wailing and gnashing of teeth amongst the photographic community. Imagenomic are doing the same with their video plug-ins, so I suspect that it won’t be too much longer until they follow suite with their plug-ins for stills imagery. Software rental is not a new concept. High end medical software is rented. The software that runs municipal electricity in South Africa is essentially rented. Stop paying the bill and the programme is virtually unplugged (resulting in a blackout). One of the companies I regularly work for rents out software to plan and order components for glass shower doors and balustrades. Software rental is necessary for niche products such as these which are not going to be used by all and sundry. Very few individuals and companies are likely to use these niche products. Another component of the subscription concept is that your fees are also paying for immediate troubleshooting and help from a real-live technician. If the medical software rented by a clinic collapses, a real-live person comes along to fix it. Sadly this is not the case if your Microsoft Office suite breaks, and is definitely not the case if Adobe CC stoops working (if anything we have found just how difficult it is to communicate with Adobe since the introduction of the Creative Cloud. So in a nutshell, early subscription based software packages were originally there to help both the user and the provider. The user with secure knowledge that they would receive assistance when they need it, and that the price is not astronomical due to the limited use of the programme, and the provider with the knowledge that they can bring in a stable income so long as they continue to provide a service. Here’s the point. Subscription based software is supposed to be a ‘service’! On the other hand, rental of software can seem like a good idea when others are completely abandoning a software platform. First, Nikon announced the demise of their very capable Nikon Capture NX2 application. Then, Apple announced the abatement of all development and updates to their very popular Aperture (a RAW developer) application. The two companies come from two different areas of concern though. Apple are completely reworking the way that images are ingested, managed and processed in their operating system. Their new OS, Yosemite is being launched in August and is supposed to be a completely seamless imaging experience. The idea is that there will be adequate third party support on an already robust imaging platform. Users may be losing Aperture, but there is the possibility that they will be gaining a far better, more streamlined and powerful editing suite in it’s place (of course, this is all theory at the moment as the OS is not public yet and Apple have only given glimpses rather than open book viewing of their new ‘Photos’ application). Still, the loss of Aperture without an actual existing replacement from Apple is causing something of a headache for Aperture users. Apple have always been a little bit like the evil empire in Star Wars - everything looks neat, new and shiny, but you have to do it the Emporer’s way, or else. To this effect, getting off of Aperture is actually quite complicated. To the point that there are now apps appearing such as the Exporter for Aperture ($14.99 in the App Store) which make it easier to move your images from Aperture to a different library system (e.g. Lightroom). I have to admit that at first I went through the classic symptoms of denial. I just refused to accept that I would have to change. Then I moved into a period of panic, trying out other software offerings left right and centre (this was not an inexpensive panic either sadly). Then it struck me almost as an epiphany. Ultimately it’s not about the software, it’s about the image. I have been bemoaning the fact that Nikon are ditching Capture NX2, in much the same way that I bemoaned the dying days of film photography (from a commercial and professional standpoint - film continues to breath, but in a niche art movement rather than for commercial work). Before I became locked in to Nikon’s NX2 I used to use a combination of Photoshop CS2 and 3 and Pixmantec’s RAW Shooter (this was later bought out by Adobe). NeatImage lent a hand occasionally to clean up noise and also worked really well at cleaning film grain, which is what I originally used it for when converting transparencies to digital using a Nikon Coolscan V (surprise, surprise, Nikon have long since canned their scanner apps, so you now have to use the third-party Vue Scan just to work Nikon’s hardware). That was it. Only 7 years ago I only found the need for 3 imaging programmes on my computer. Today, I have Nikon Capture NX2 (officially dead), Transfer, NX-D (as useless as it currently is), Lightroom 5, Photoshop CC (and CS6 - don’t delete your old version), Adobe Bridge CC , Photo Mechanic 4.8, the full Nik Collection, Imagenomic Portraiture v2, PTGui, Iridient Developer 2.4 and Vue Scan. The scary thing is that I use all of these applications. Admittedly some are not as regular as others. For instance I only use Iridient Developer when I want to eke out the best possible image quality from my Fujifilm. I have also tried Capture One Pro 4 and then later 7, Pixelmator and a host of other applications that haven’t stuck if they don’t do what I need them to, or simply don’t fit into my workflow (Capture One Pro is a good example - I really like application, but it would further complicate my already complicated workflow). So rather than cry over the loss of NX2, I went back to my roots, sort of. I grudgingly bought into Adobe Photoshop CC. The final settling of the price to $10 a month (plus taxes, which in South Africa is an extra R11 monthly) clinched it for me. The initial asking price was ludicrous for all except the most successful commercial photographers and well-heeled of amateurs (news flash: the vast majority of professional photographers are not well-heeled). I can live with the $10 plus change a month. 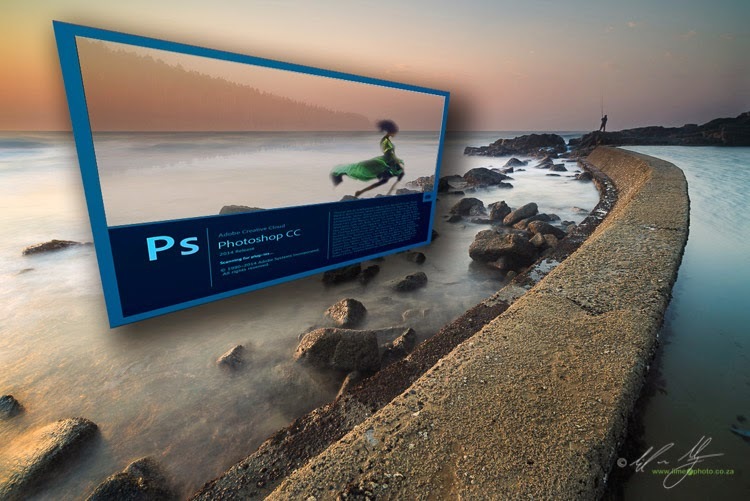 Photoshop has been around since the halcyon days of serious digital photography, so it’s likely to stick around for a while yet. So for the time-being my workflow is going to actually simply: Lightroom for ingest and sorting and basic edits, Photoshop for advanced editing and finishing as well as for plug-ins like the Nik Collection. I used Photo Mechanic because of it’s excellent integration with Nikon Capture NX2. As NX2 is being thrown out, Photo Mechanic might end up following suit from my workflow. This is sad as Photo Mechanic is an absolutely excellent programme. Anyone who reads my blog will know that I have a serious aversion to how Adobe converts Nikon NEF files (and for that matter Fujifilm RAF files too). The colour is simply wrong. Some users suggest changing the camera calibration in Lightroom or Adobe Camera Raw, but these are really only Adobe’s approximations of Nikon’s own proprietary ‘look’. Still, the Camera Calibration panel is a good place to start. Enter the X-Rite ColorChecker Passport. This nifty plastic thingamajig has made it possible to make all my images come out with the same colour between different cameras. 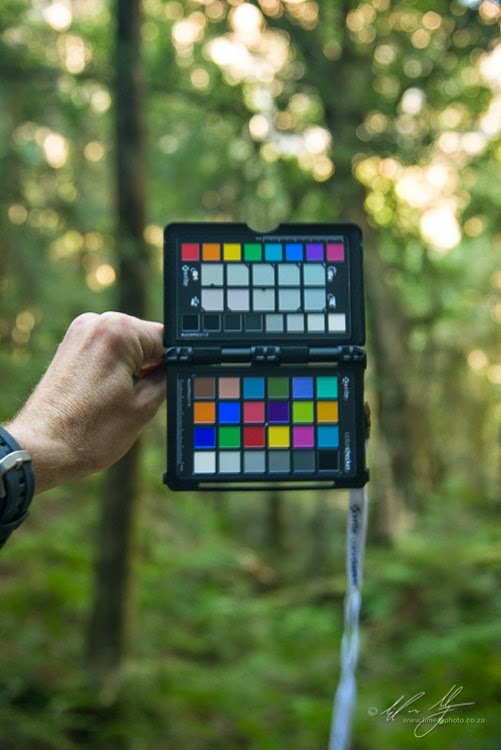 The software that comes with the ColorChecker Passport allows me to create bespoke profiles for each of my cameras. Now, with the profiles in place, I’m hard-pressed to tell the difference between my D3x and the D800, whereas in the past it was obvious the moment the images loaded into an editor. Lightroom still works brilliantly for the bulk of my fast editing and Photoshop with its never-ending pixel-bending abilities will wrestle the image quality out of the pictures that really matter to me. I will miss the sharpening mask on NX2 and the clairvoyant healing brush, but ultimately there are myriad other ways to do what NX2 did. It’s possible that Nikon Capture NX-D, the purported replacement for NX2 will eventually mature into a usable tool for photographers. I suspect that a lot of photographers will just feel it’s a matter of time until they get dumped once more by Nikon. Time will tell whether it will be the same with Apple and the migration from Aperture to Photos. Ultimately, photographers will simply have to accept that software companies are going to break the systems we work with. There’s nothing new to this though. In the days of film a manufacturer would cancel a particular emulsion, or chemicals would be changed while some would simply go away. For some photographers the death knell of wet collodion must have seemed apocalyptic. Software applications, like photographic processes of yore, come and go. The problem is that every new piece of software comes with a new user-interface that needs to be learned, a new array of techniques and tools and changes to workflow, if not a completely new workflow. This is why photographers get upset when things get fixed by the manufacturer when they weren’t even broken in the first place. Learning new UI slows the whole shooting process down. The advent of digital created a seismic shift in the way that images are created, stored and viewed. We’re likely to face another seismic shift in digital imaging in the not too distant future. It’s even possible that the shift will be generated by camera manufacturers simply so as to staunch the gushing wound that is the plummeting camera market. The old adage, ‘adapt or die’ stands true to this day. If something doesn’t work, move on to a different something. Mangling my clichés; sticking with the dead horse isn’t going to get you very far. The sad part is that the horse-trainers are right now executing their steeds while the riders are still on top of them. Capture NX2 wasn’t even sick, maybe a little slow and probably in danger due to Google’s licensing of Nik products on which NX2 was based, but did it deserve to die? The same goes for Aperture (without the Google/Nik part). Remember though, it’s about the image, not the software. Take a moment to consider the options out there. Think of it more as changing lanes than breaking a workflow. Some interesting things might emerge as a result. I started using Capture NX2 around the time that I began to learn about luminosity masking. Fast forward half a decade and I’m finding that luminosity masking still does a better job than Control Points (NX2 and Nik) ever did. Oh, and I still have Control Points and more courtesy of the Nik Filter Collection which can now work on both Lightroom and Photoshop.